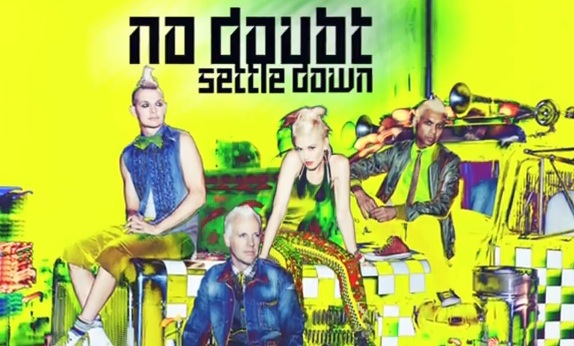 [Listen] No Doubt - "Settle Down"
After 11 years of nothing from one of my childhood favorites, No Doubt has finally come out of hibernation with their first single, "Settle Down". The single comes from their forthcoming album Push And Shove, which is slated for a September 25th release on Interscope. The album follows 2001's Rocksteady, which kid of displaced me as a fan because I wasn't ready to take the huge leap. I am happy to report, however, that I have found my way home into the loving arms of the California four-piece. I have to say, I couldn't be more pleased with "Settle Down" (I mean I could if they totally went the way of Tragic Kingdom or Return Of Saturn, but we all have to let that go). They've still stuck with a good bit of the Rock Steady sound but it feels like they took some time to remember that they put out other records that weren't always so heavy on the pop and dancehall sound, which is most obvious in the chorus. At any rate, it's genuinely just a fun song to listen to and could not have come at a better time in the summer. UPDATE: Below, you can stream the song along with its official accompanying music video.